As the saying goes, “Every dog has its day,” and in this case, a woman injured during a pit bull encounter had her day in court — and won. In June, a jury awarded more than $200,000 in damages to Yuanquin Ge, a Chinese woman who fell and broke her hip after an unleashed pit bull named Raspberry approached her in a Sammamish neighborhood. It happened in May 2009, when Ge and her husband, who live in Shanghai, were in town visiting their daughter. The three decided to go for an evening walk and made their way onto the street in front of the defendants’ home. The defendants, a boyfriend–girlfriend couple, had just arrived from a day trip and were unloading their vehicle when their two pit bulls ran from their lawn. “As they ran toward [the group], Mrs. Ge was approached by one of the dogs, which jumped on her and knocked her down on the ground,” said attorney Erica Buckley, who represented Ge and her husband at trial. Raspberry and the other dog were each less than a year old and weighed about 40 pounds. Ge, who was in her 60s at the time, required hip replacement surgery. She had to cancel most of her plans, including a trip to Yellowstone National Park. Ge sued the dog owners for negligence, claiming her medical bills and general damages, including loss of enjoyment of life. Ge’s husband claimed loss of consortium for the impact that his wife’s injury had on their relationship. At trial, Buckley argued that the dog owners should have done more to keep neighbors and passersby safe. “The dogs were running without a leash on, and the owners were outside, yet they didn’t do anything to stop them,” Buckley told Northwest Asian Weekly. Attorney Michael Budelsky, who represented one of the defendants, maintained that Raspberry never touched Ge and that although Ge’s injury was regrettable, the owners were not at fault. “The dogs had never had any prior history of being dangerous,” said Budelsky. “[They] were just going over to be friendly and say hello,” he said. The court granted Budelsky’s pretrial motion to keep both parties from mentioning the dogs’ breed to the jury. Budelsky argued that this information was irrelevant to the case because Ge was unaware of the dogs’ breed at the time of the encounter. Buckley, meanwhile, had hoped the court would deny the request. “The judge granted the motion, and no one was allowed to mention the breed of the dogs during the trial. I think this made a difference because one of the defense’s arguments was that Mrs. Ge’s reaction to the dogs was unreasonable. However, I believe that if most people saw two unfamiliar pit bulls running toward them, their reaction would be similar, if not more severe, than Mrs. Ge’s,” she said. Nonetheless, the jury ultimately sided with Ge, concluding that the dog owners were negligent when they failed to keep their dogs leashed and that their negligence caused Ge’s injury. It awarded Ge more than $200,000 in damages, including nearly $84,000 for her medical bills. The jury granted her husband $15,000 for loss of consortium and determined that Ge had no contributory fault. “The jury basically found that if you have dogs, you have [the] responsibility to control them, keep them on the leash, and make sure they don’t hurt other people,” said Buckley. The outcome now has other dog owners, with no involvement with the lawsuit, on guard. However, many of them believe that their dogs are much less threatening than people perceive them to be. “I have had my pit bull for more than two years. Her name is Sage and she is a sweetheart,” said Baltej Khokhar. “She has been introduced to many people, and I have never had a single complaint about her. She stays inside my house and interacts with my whole family,” he said. Khokhar said that although Sage may appear intimidating, looks are deceiving. Mike Ferrer owned a pit bull named Kilo for eight years. He reluctantly gave him away when he moved to Denver, which generally bans the breed within city limits. Although Ferrer does not completely agree with the amount of damages awarded in the Ge case, he agrees that the defendants should have exercised greater care. “Two hundred thousand dollars is a big chunk, but a responsible owner should have had them on a leash,” he said. Katie Olsen, director of operations at the Seattle Humane Society, recommends that all dog owners attend training classes to make sure they are comfortable in handling their animal(s) both in and out of the home. 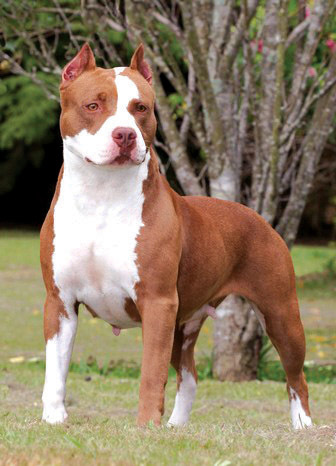 “Pit bulls are incredible dogs that, like all other breeds, require consistent training and both mental and physical stimulation. They are very intelligent dogs that thrive in obedience and agility classes,” she said. The Seattle Humane Society works to find suitable homes for adoptable pit bulls. It conducts temperament testing for each dog, has a thorough application process, and requires training classes for both the dog and the owner. Olsen provided tips on how a person should react when encountering an unleashed dog. “If you come across a dog that is off leash, no matter what the breed is, it’s important to pay attention to the animal’s body language,” she said. “First, determine whether or not the dog has an alarming disposition by looking for warning signs, like erect ears and tail, lunging, or charging. Submissively remove yourself from the situation by backing away calmly and avoid making eye contact. If the animal continues to approach you, use objects in your environment to place between you and the animal,” she advised. Although Buckley’s job is to advocate on behalf of those who have sustained injuries, she hopes that everyone will do their part in ensuring safer communities. Evangeline Cafe can be reached at info@nwasianweekly.com. I don’t care what kind of breed it is, nor that it’s friendly. I don’t want any dog jumping on me or my kids. Some dog owners just doesn’t seem to understand that.